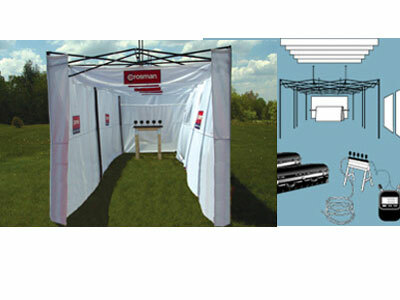 Crosman Large Shooting Range, 8'x24' . Ranges. Looking for an outlet for your organization? Try the large size Crosman range today. It's a perfect fit for your gun club, scout troop, fund-raiser or sporting event. With easy assembly and practical traveling gear, you get setup out of the way fast and can immediately entertain or generate revenue. 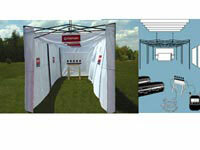 The ranges’ impact walls have a ballistic cloth that can stop lead pellets up to 700 fps.